All guests should try to arrive 60+ minutes prior to the ceremony in order to have enough time to park, walk or take the shuttle to Mark Twain. The building opens 1 hour prior to the ceremony. For those with disabiliing conditions you may be dropped at the front of the building with a family member/friend and the rest of your group can park and take the shuttle to the building. 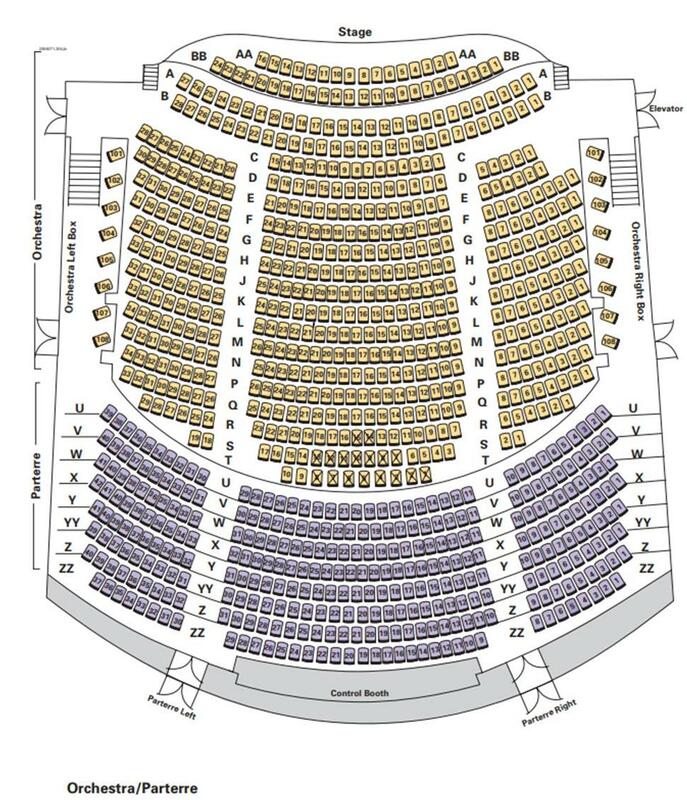 There is accesible seating for guests, please look at the building maps below and contact a worker on arrival to be directed to accessible seating (1 person from you group may sit with you). For students will accesibility needs please contact Disability Access Services immediately of any special arrangements that will enable you to participate fully in the commencement exercises. 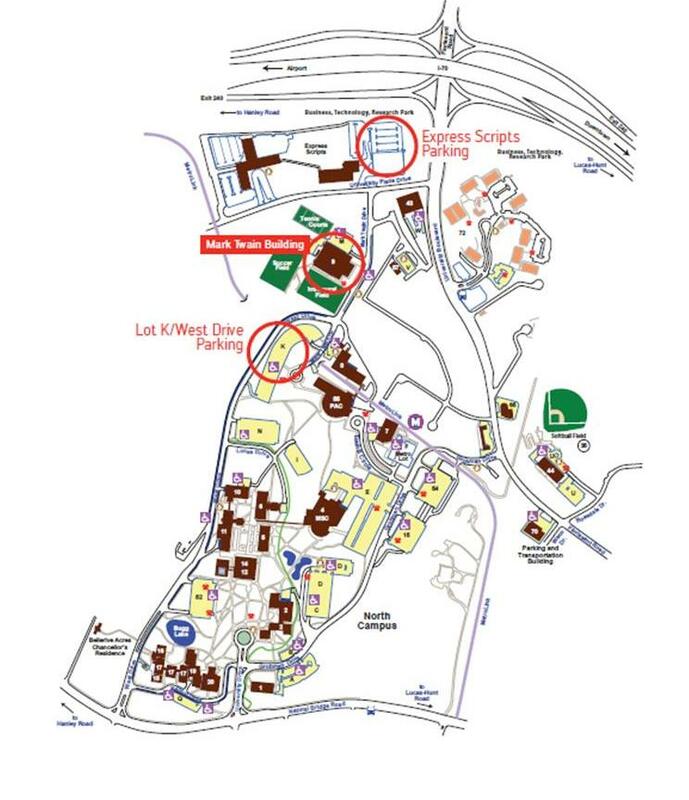 Please use the Express Scripts Parking and Lot K/West Drive Parking. They are the closest lots to use when getting to the Mark Twain Building. 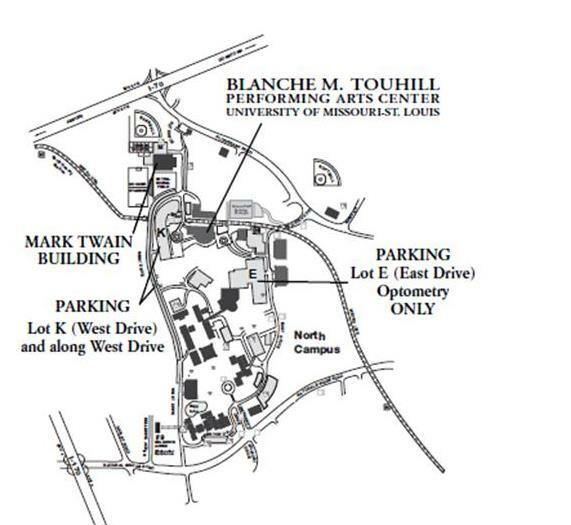 Shuttles will transport guests to and from these lots to the Mark Twain building. For a larger, printable PDF version, click here or on the map image.